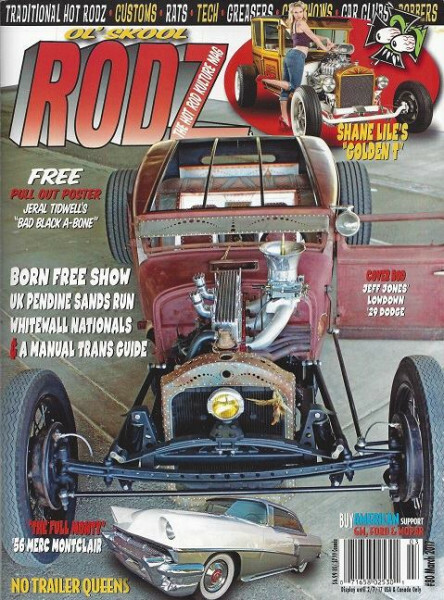 Produktinformationen "OL' SKOOL RODZ Issue 80"
The HOT ROD KULTURE Mag. Ol' Skool Rodz #80. Cover photo of Jeff Jones' '29 Dodge by Anna Marco. Inside you'll find coverage of the Whitewall Nationals, UK's Pendine Sands event, Born Free, and Boston World of Wheels, plus Bill Hines' last lead job on Anna Marco's "Lady Luck" Studebaker; car features include everything from Model A rods to a Crosley bucket, and a smooth '51 Plymouth. Weiterführende Links zu "OL' SKOOL RODZ Issue 80"
Kundenbewertungen für "OL' SKOOL RODZ Issue 80"